Nothing was good about this place! If I could give a 0 rating I would! The kitchen is super clean. Wash machine is good. Location was perfectly centered, walking distance to a China town and Covent Garden. Train station nearby, bars, places to eat and shops was very close. The people were super nice and helpful. The location was great. Location! Great central location to visit London. Easiest access to tube. Very spacious for the price. Having a working kitchen is nice. The washroom and the bed were clean. In a very convenient location - cannot emphasise this enough! The location was epic. Perfect for our last night in London! The location was fabulous. Very clean and spacious. 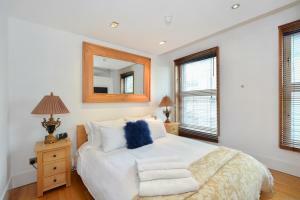 Nice rooms with modern look, upgraded amenities. Great location to the tube, shopping, restaurants, the London eye, Buckingham Palace and so much more. Location was perfect for a couple nights in the hustle and bustle of London. 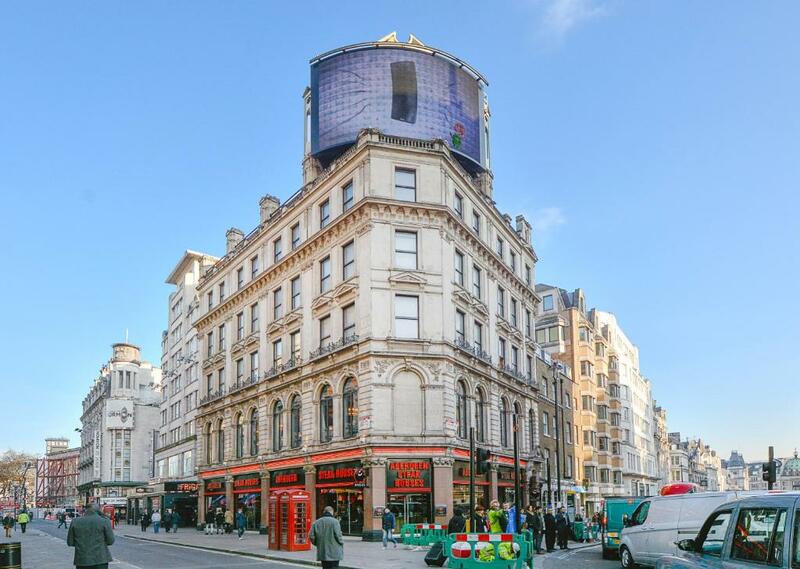 Short walk to Piccadilly Circus station, plenty to do right nearby. The Leicester Square Collection This rating is a reflection of how the property compares to the industry standard when it comes to price, facilities and services available. It's based on a self-evaluation by the property. Use this rating to help choose your stay! One of our top picks in London.Located in London, within 200 feet of Prince Of Wales Theater and 350 feet of Queen's Theater, The Leicester Square Collection offers accommodations with free WiFi, a flat-screen TV and a kitchen. 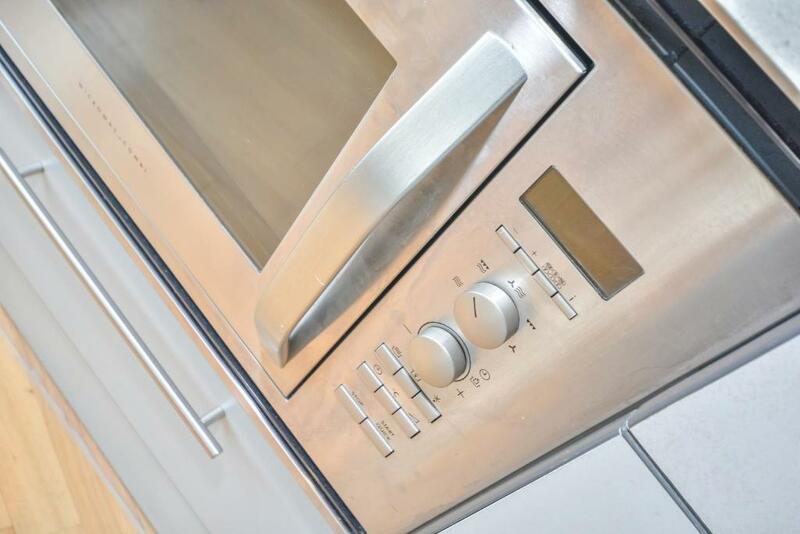 A dishwasher and kettle are also provided in each apartment, and each features private bathroom facilities. 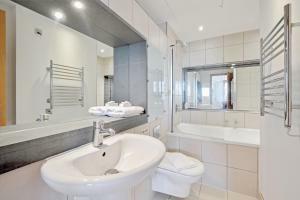 Popular points of interest near the apartment include Shaftesbury Avenue, Piccadilly Circus and Piccadilly Theater. London City Airport is 8.1 mi away. This is our guests' favorite part of London, according to independent reviews. In this area you can shop 'til you drop for popular brands like Apple, H&M, Zara, Burberry, Nike. When would you like to stay at The Leicester Square Collection? The Leicester Square Collection is located in the middle of London’s top attractions with excellent transportation links at your doorstep. 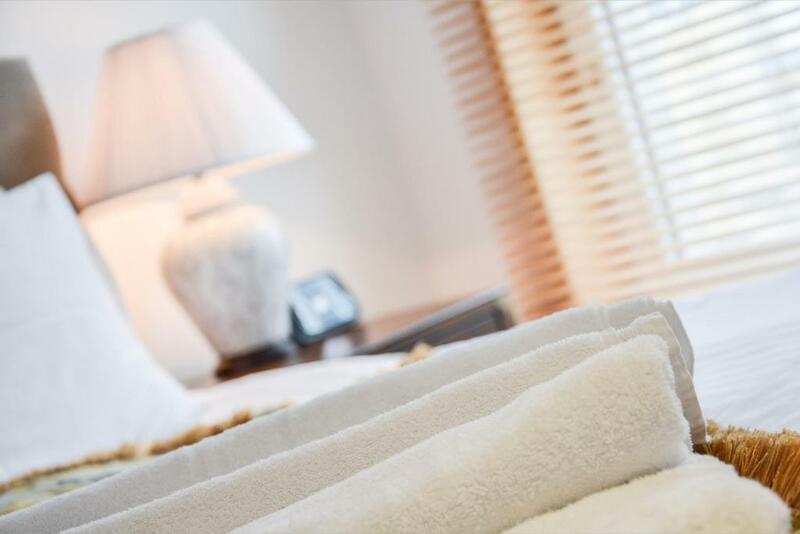 The Leicester Square Collection is your flexible alternative to hotel rooms where you can enjoy a selection of entire apartments for your privacy and comfort. All our apartments are new and fully equipped for your enjoyment and yet you can tailor your needs and enjoy hotel services at your request. Ideal for families, a group of friends, business travelers or individuals requiring space and comfort. If you love theater, shopping, and fine dining, then The Leicester Square Collection is for you. It’s London’s New York Times Square with all attractions local. You can pop downstairs to the theater, You can go down to the local restaurants for a family reservation, you can walk the kids to M&M world and stop by Trafalgar square. There is so much to do to keep everyone occupied. House Rules The Leicester Square Collection takes special requests – add in the next step! All children under 2 years are charged GBP 26 per night in a crib. The Leicester Square Collection accepts these cards and reserves the right to temporarily hold an amount prior to arrival. Please note that renovations are taking place in the Apartment with Balcony and the Studio Apartment. 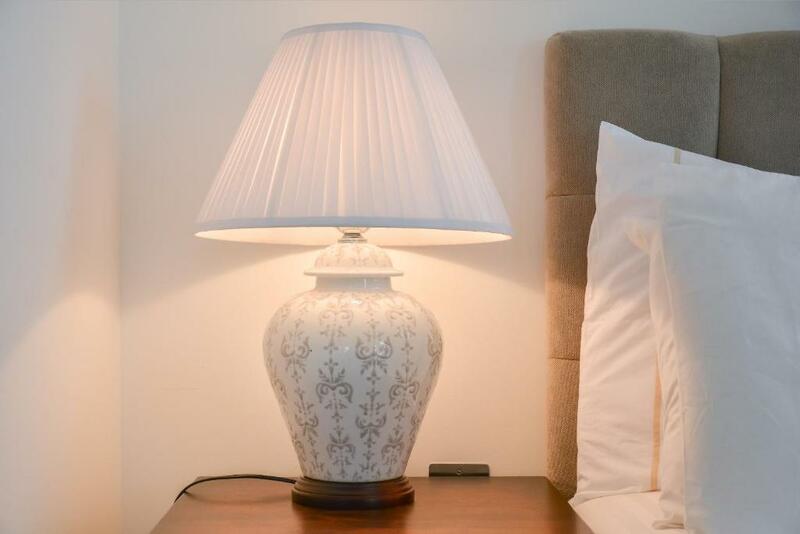 For the studios and One-Bedroom apartments, a security deposit of GBP 250 is required upon arrival for incidentals. This deposit is fully refundable upon check-out and subject to a damage inspection of the accommodations. 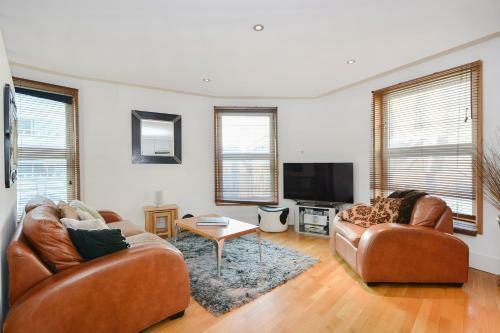 For the Two-Bedroom apartment, a security deposit of GBP 500 is required upon arrival for incidentals. This deposit is fully refundable upon check-out and subject to a damage inspection of the accommodations. Please inform The Leicester Square Collection of your expected arrival time in advance. You can use the Special Requests box when booking, or contact the property directly using the contact details in your confirmation. Please note that the full amount of the reservation is due before arrival. Flexiflat will send a confirmation with detailed payment information. After full payment is taken, the property's details, including the address and where to pick up the keys, will be sent to you by email. Way to noisy. No one to meet us despite being asked s time as they were checking someone else in. Address given is a meeting point in this day and age too dangerous if I had been female only with kids. No one back home knew the Real address! No one there. Don’t tell u the address u are given is a meeting point then someone walks u to to your actual apartment. 200yds from Tiger Tiger nightclub!! Some family apartment Apartment tired. 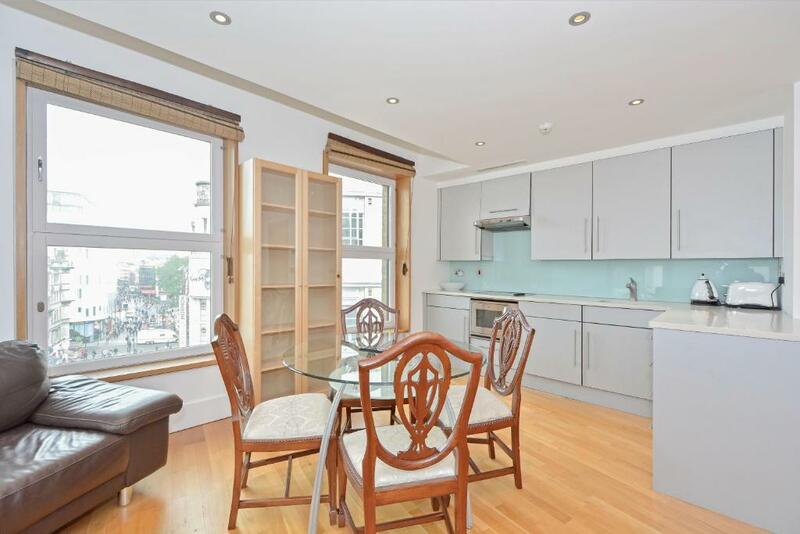 Fantastic location right in the heart of Leicester sq. was a bit worried getting to entrance as needed to walk down side of a restaurant, as we was 2 females felt a bit anxious. But didn’t have any problems. To get up with No Hot Water or Heating is unacceptable. Given that this is a recurrent problem as noted by others.. A plumber fitting a pressure pump would have this ongoing problem fixed in about 2-3 hours.The property is tried and could be so easily benefit from some tender loving care. eg Glasses not plastic cups. ALL the kitchen appliances, cutlery, plates pots and pans need to be replaced. This property could so easily become a wonderful place to stay. Desperately needs new management. The location is excellent . Excellent location! Value for money! The apartment needed some attention. The door handles were loose. The toilet seat was broken. The toilet roll holder fell off the wall. The sofa bed was broken but it was replaced by the concierge. The cleaner was still in the apartment after 4,00 pm. Lots of the lights didn't work. The boiler was showing an error so there was no heating or hot water. We were moved to another apartment. This was better but a lot of noise from outside (the apartment id next to a night club) meant that we had no sleep. The bedroom window was not double glazed and was taped up with gaffer tape. The cleaning was extremely poor and the apartment is in dire need of painting. The bathroom had urinal stains, and other signs of lack of proper cleaning, and there was a nasty looking brown stain and hair on the linien, not sure if it had been changed but we managed to get a new one, but only after the first night. In addition there appears to have been a problem with leaking in the batroom. Probably around half of the lightbulbs were out. Major problems with bathroom. On first afternoon, I reported that there was no hot water coming from the taps for the sink. Reported that again the next day and someone came up to check it and agreed that it wasn't working. I was there for a week and it was never fixed. There was no bar or hook to hang any towels on. Toiletries were supposed to be provided, but all there was was one small bottle of shampoo. I was told because it was the offseason, the rooms weren't kept stocked. There was some problem with the heating for the flat which took about three days before it started working effectively. Room was clean; bed was comfortable; availability of a fridge was helpful. The noise was terrible in the bedroom and the blind did not block out the light we had to use the pull out bed in the lounge and shut the doors to get some sleep. The flat is definitely not as advertised however in terms of location and cleanliness it couldn't be faulted just don't expect to sleep in the bedroom! Get supplies from a Tesco express before you go as super expensive in the little shops surrounding the location. The flat is down a little alley next to a steak house and there is a nightclub in the alley hence the terrible noise it is above a restaurant and the doors constantly banging. The noise is the only downside to this if you can live with that then book it! The entire place was nothing like the photos shown and it was not a one bedroom apartment it was a studio not what we booked. The sofa bed was in a bad area as you could not open the front door with the sofa bed out. Bathroom was mouldy black leather lounge chair was old and ripped everywhere no tea or coffee supplied like it said it would be. Not a good place to stay at all especially with young kids. I didn’t like the property has any curtains so we were woken up really early by the light and also the place is very noisy. There were workmen in the morning making a lot of banging noises. A bit disappointed as we were looking forward to a lie in!